Just like eating breakfast every morning, we’re told that getting enough sleep in one of the most important things we can do. However, a new study has also pointed out that it’s not just getting enough of it but how good your sleep is, too, that’s important. 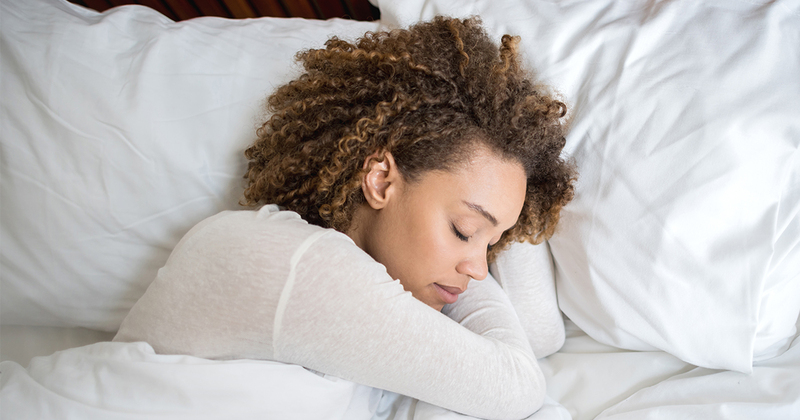 Sleeping is one of life’s greatest things, but we all know that it can sometimes be quite hard to achieve, even with these hacks. What’s more, being tired can actually be dangerous, too, and not sleeping enough can be quite taxing on your body, both mentally and physically. But having enough sleep and having a good night’s sleep are just as important as each other it seems. Well, that’s according to a new report published by the The National Sleep Foundation (NSF) in The Sleep Health Journal. The study noted that while people are utilizing the myriad of technology devices, like Fitbits and Jawbones, to help determine their sleep patterns, there were key ways to tell that whether you’re actually getting the quality shuteye that you require. 1Make sure you use your bed for actually sleeping. Given that most of us are perpetually attached to a computer or a mobile phone almost all day (and most of the night, tbh), we can often spend a lot of time when we’re in bed not actually sleeping. Rather, we’re replying to emails, scrolling through Instagram, reading the latest hot take, or catching up on our news and correspondences. In fact, some of us who work from home even spend the day propped in bed surrounded by cables and coffee cups, with a laptop balancing on a pillow. However, the NSF has suggested that we should spend at least 85% of the time we’re in bed sleeping. What’s more, we already know that “blue light” from electronic devices is bad for you just before bed, too. So, perhaps that Netflix binge or tweet might be best left out of the bedroom. Instead, certain studies have shown that reading a book before bed actually helps improve your shuteye. 2Falling asleep in 30 minutes or under. According to the NSF, 27% of adults take longer than 30 minutes to fall asleep. This, they say, can be a sign that you’re suffering from insomnia or another sleep disorder. There are many contributing factors as to why you might not be able to get to sleep, some of which include not getting enough exercise, stress, exercising too close to bedtime, mental health problems, and what you eat. However, there are some are some techniques you can use to assist your journey to the land of nod. However, if you’re still struggling to get to sleep you should go and visit your doctor. 3Waking up in the night. While some disturbances in the night are, unfortunately, unavoidable (like loud noises, car alarms, crying babies, snoring, etc), the NSF notes that if you’re regularly waking up more than once during the night then you might not get the quality sleep that you need to be refreshed and functional. 4If you do wake up in the night, how long are you awake for? If you do find yourself waking up in the night, one thing to take note of is how long you find that you’re actually awake for. The NSF say that if you’re awake for any more than 20 minutes then there could be a problem with the quality of your shuteye. Here are some more tips for helping you keep those eyes closed.